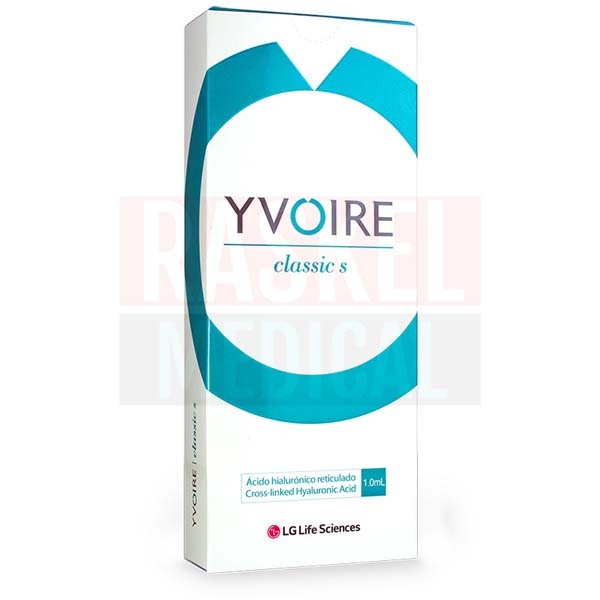 Yvoire Classic S is a hyaluronic acid-based, injectable dermal filler that is primarily used to reduce the appearance of fine to moderate facial wrinkles, to address other concerns related to facial aging, or to sculpt and plump lips. The product is a clear, colorless gel compound that is injected into the skin, providing volume and smoothens folds and wrinkles. This filler is particularly suited for mature or prematurely aging skin. Yvoire Classic S is used to treat facial wrinkles, and can be used for lip augmentation as well. The product is an injectable facial filler containing hyaluronic acid (HA) as its active ingredient. HA is a complex sugar molecule naturally found in the human body. It has the ability to retain vast amounts of moisture, replenishing it in aging skin hence restoring the appearance of firmness and plumpness. This skin filler is made of cross-linked hyaluronic acid that is similar to what is found naturally in the body but with more uniformity; this will help to provide overall smoother and better results. As HA is a natural component of skin tissue, HA-derived fillers present very low risk of adverse effects and are accepted to be very safe for use. This makes this facial filler suitable for use on all skin types, including hypersensitive skin types. 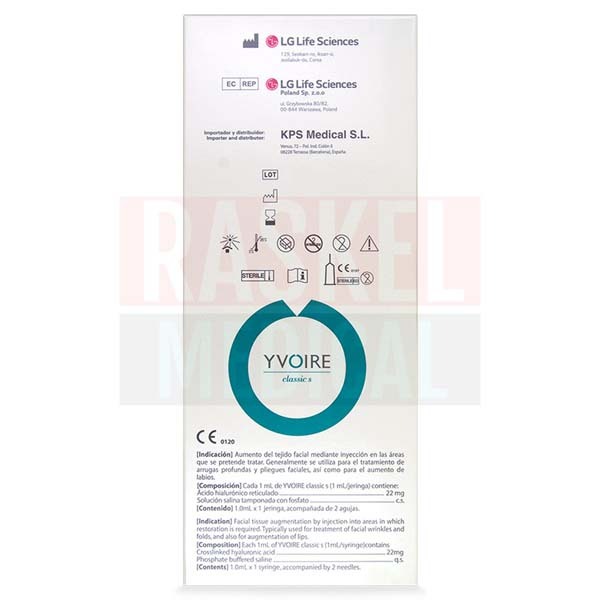 Yvoire Classic S is part of the Yvoire product line developed by LG Life Sciences, a pharmaceutical and biotechnology company headquartered in South Korea. Yvoire products are from South Korea. Typical side effects that can occur when undergoing this procedure include pain, bruising and swelling at the injection site. Yvoire Classic S is suitable for use on skin with signs of aging. Clients who are looking to treat fine lines and wrinkles will benefit from this treatment. This product is also appropriate for light facial and lip sculpting. Yvoire Classic S is non-animal derived. The product comes in a pre-filled syringe. Yvoire Volume contains a larger average HA particle size compared to Yvoire Classic; Yvoire Hydro is an injectable filler made of non-crosslinked HA only. Yvoire Classic S should be used to treat cosmetic concerns that relate to facial aging such as wrinkles, lines, or lip enhancement. Inform patient on contraindications, indications, and potential adverse effects prior to treatment. To use, uncap the pre-filled syringe and affix needle onto luer-lock by turning clockwise. If unsure, check leaflet for visual guide. Sanitize the area of injection by swabbing with the desired antiseptic solution. Massage the injection site and surrounding area after administration. Properly dispose of unused product, syringe and needle after use. 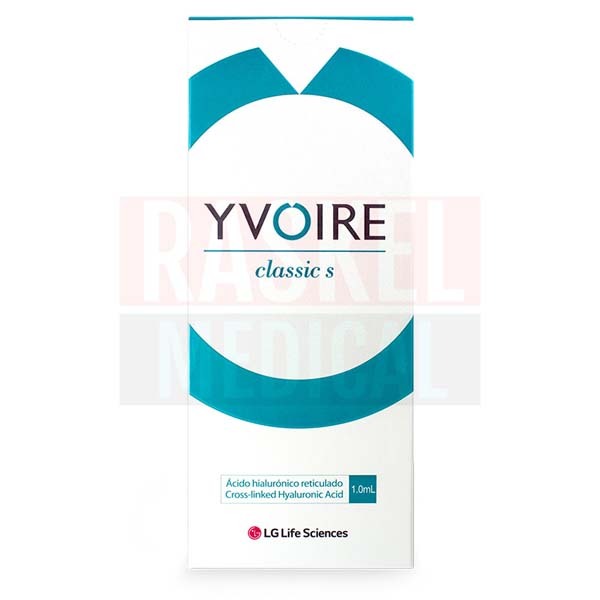 Yvoire Classic S is a transparent, colorless gel that is made up of cross-linked hyaluronic acid. 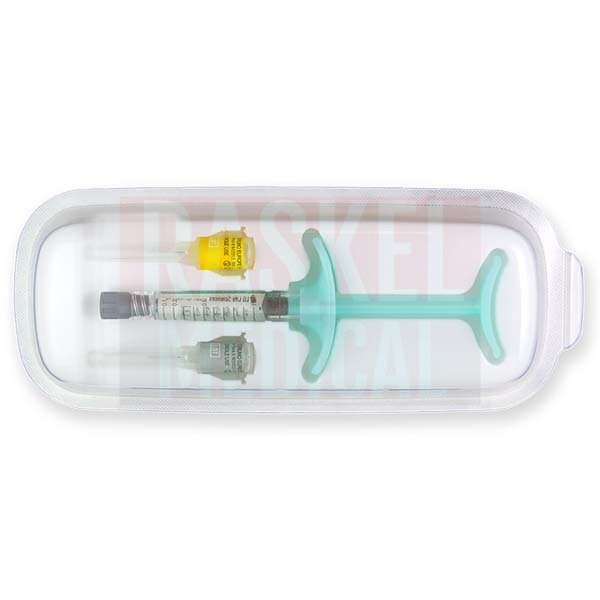 One 1ml pre-filled syringe containing 22mg/ml cross-linked hyaluronic acid, One 30G ½ needle, One 27G ½” needles, Two traceability labels, Package Insert. This type of filler for the face is temporary, as the hyaluronic acid will eventually be metabolized and reabsorbed into the body. Duration of effect will depend on multiple factors such as facial area that was treated, how much product was used, as well as type of treatment, but expect results from Yvoire Classic S to last for 12 months. Between 2° - 25° C. Do not use if product has been frozen. Keep away from direct sunlight. Store in an airtight container. Refer to the expiry date on the package.